The award-winning sausage brand started life in the 1940s as Arthur Mallon’s butchers shop in Monaghan Town. Mallon’s has grown to become the leading producer of sausages in Ireland, and the company recently expanded its product range to include beef dripping. Production capacity is set to increase as planning permission was granted last in 2017 for a new two-storey extension to Mallon’s existing production premises in Mullaghdun. Chef Patrick Armitage and his wife Zoe, also a trained chef, established their hot smoking business in 2017. Sheskin specialises in candied salmon, a product traditionally produced on the west coast of America. The couple recently represented the county at ‘Ireland’s Best Young Entrepreneur’ competition. Hailingfrom a five-generation beef farming family, Colm Connolly and his wife returned from their world travels inspired to do something a little bit different. Connolly used the state-of-the-art incubator kitchenat the Ballybay Enterprise Park to hone the recipe for a healthy, high-protein beef jerky snack; Rucksnacks is now available in a variety of flavours at SuperValu stores and gyms throughout the county. “Ballybay kitchen is fully set up and it’s approved by the relevant authorities so it’s of a very high standard. 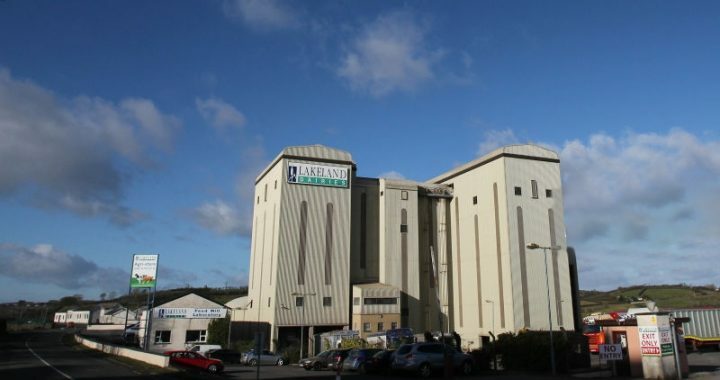 It has all the facilities you need to produce or to run trials, and that’s been so useful for us because we’ve been able to do both,”said Connolly of the Ballybay facility. Over 50 years ago, Paddy McGuinness started delivering eggs by bicycle, whilst Bernard Eivers started business with just 150 free-range hens back in 1985. Today, managed by the next generation, the company processed over three million eggs per week at its Lough Egish facility, supplying supermarkets and businesses throughout Ireland as well as abroad. 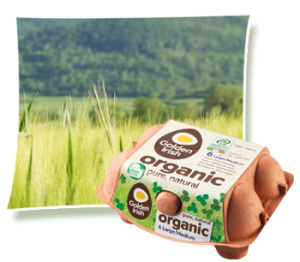 All eggs are Bord Bia approved and Golden Irish is part of the Origin Green scheme. Silver Hill produces the best duck in the world according to the world’s leading chefs, including Heston Blumenthal. The multi award-winning Silver Hill Farm supplies duck and duck products to outlets all over the world. All aspects of production are managed on site, from breeding and hatching to processing and cooking. A team of 230 is employed at its Centre of Excellence in Emyvale and at various satellite hatching sites on both sides of the border. “Being so close to the border here in Monaghan and having facilities both sides offers both a bio security advantage and a strategic advantage, in that UK retailers look for NI duck and ROI retailers look for ROI duck,” according to Silver Hill CEO, Michael Briody. Silver Hill is investing in €25m in its production facilities to bring capacity from 80,000 ducks per week to 150,000 in line with increased demand from new markets including Indonesia, Malaysia and Canada. Do you have an idea for a food business or are you looking to take your food brand to the next level?Contact us to find out more about developing your food business in County Monaghan.